It hasn't taken Tom Tokarski long to make an impact at Butler's Golf Course. Even though he has been at the Pittsburgh-area course for less than two years, Tokarski was named the Billy Casper Golf 2012 superintendent of the year at the company's annual conference held recently in Tampa, Fla. Billy Casper Golf is the country's largest multi-course owner operator, with a portfolio of more than 140 golf course, country club and resort properties. Casper took over management of Butler's Golf Course in Elizabeth Township in April 2011, and at that time brought Tokarski over to manage the course built in 1928 by John Butler. Billy Casper Golf recognized six other individuals from its agronomic team: Assistant Superintendent of the Year, Jake Valentine, Lincoln Hills Golf Club, Lincoln, Calif.; Most Improved Course, RedGate Golf Course, Rockville, Md., Agronomic Rookie of the Year, Jim Prucnal, Lake Monticello Golf Course, Palmyra, Va.; Environmental Stewardship Award, Mark Murphy, General's Ridge Golf Course, Manassas Park, Va.; Bang for the Buck Award, Bryan Kreger, Hilltop Golf Course, Plymouth Township, Mich.; Team Player of the Year, Jon Lanier, Desert Rose Golf Course, Las Vegas. Awards were given in several other categories, including the company's highest honor Facility of the Year. That award, presented by former golfing great Billy Casper, went to Royce Brook Golf Club in Hillsborough, N.J. Royce Brook GM Dan Guinle also was named the company's top general manager. Sanctuary Lake and Sylvan Glen, both of Troy, Mich., were named Top Performer of the Year, and St. Johns Golf and Country Club in St. Augustine, Fla., won Casper's ACE the Guest Experience Award, which signifies superior customer service. Awards also were presented to those in business office and golf shop operations. Echo Inc. recently released its most powerful, low-noise backpack blower, the PB-760LN. Outfitted with a larger muffler packed with more sound-deadening insulation and a mid-pipe baffle, the PB-760LN has a sound output of 65 dB(A). The design also virtually eliminates the whining sound generated by the main impeller fan. The PB-760LN also features air volume of 535 cubic feet per minute at 214 mph. For more information, visit www.echo-usa.com. Miltona has developed its Hex-Plugger turf-repair tool to help professional turf managers restore areas of damaged turf without creating bare spots. The Hex-Plugger cuts standard, 7-inch hexagonal plugs that weave together like pieces of a puzzle, eliminating bare spots caused from using round plug cutters. The design helps turf establish more rapidly in areas under and reduces the threat of weed pressure in bare spots. For more information, visit www.miltona.com. Applications are being accepted for the GCSAAs Chapter Outreach Grant program. The program was established to help chapters engage in activities that complement its efforts to communicate the value of membership to golfers and employers. Applications, which are reviewed by members of the GCSAA Strategic Communications Committee and GCSAA staff, are due by April 15. 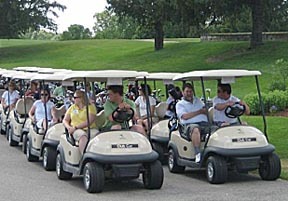 Criteria on which applications are judged include: the chapter must start its outreach activities within 12 months of receiving the grant funds; outreach activities should address the key messages and be directed to employers and avid golfers; funds must be directed to future programs only; chapters must provide matching or support funding and a follow-up report of the program to be included in a GCSAA database; o that GCSAA can create a database of case studies and best management practices (failure to complete follow-up report will render a chapter ineligible for future grants). Applications must be signed by the chapter president or one other officer or staff member. GCSAA reserves the right to request return of funds if not used according to means as detailed on application. For more information, visit www.gcsaa.org. The drought that overwhelmed much of the central United States the past two summers might be making an encore. 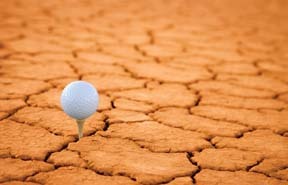 That's bad news for golf courses that have yet to rebound from the dry conditions they faced in 2011 and 2012. "For a lot of guys, their wells are not back up yet, and their holding ponds are not back to full capacity," said Andy Morris, superintendent at the Country Club of Peoria in central Illinois. "If we're struggling before we even hit the stress period, well, if you just sneeze out there on the golf course you're going to open it up to all kinds of disease pressure." The bad news for turf managers came on Valentine's Day from a panel of experts speaking to the U.S. Senate committee on agriculture, nutrition and forestry. "The continuing conditions really look like they're setting up for a very similar level of drought in the Midwest and West," Roger Pulwarty of the National Oceanic and Atmospheric Administration told the committee. Drought of historic levels the past two years has decimated agricultural output throughout the Midwest and was equally damaging to golf courses throughout the nation's heartland. The NOAA called it the worst drought since the 1930s Dust Bowl. Water-use restrictions for golf courses were common throughout the Midwest last summer, and some courses in parts of Illinois had their water turned off completely with predictable results. Morris is fortunate that he is able to buy potable water from the city of Peoria Heights, but even he is waiting for the day that his supply is turned off. He had to cut usage last year by 25 percent because the city couldn't pump water from wells to holding tanks quickly enough to meet demand during the driest part of the summer. He had blown his water budget for the year by June. Typically, he has enough money in the coffer to buy water through September, and sometimes into October. Last year, the club had to spend more to get the course through the summer with live turf. "If you have to do that one year, the club looks at it as just one of those things," Morris said. "But if you have to do it a second year, or maybe a third, it puts a lot of pressure on the club and the superintendent. "I tell people I love my job, but the past two years I haven't liked it very much. The stress of getting through the summer has been exhausting." Farther north in the Chicago area, some superintendents already are preparing for another hot, dry summer. Billy Casper Golf, which manages dozens of courses throughout the country, including more than 20 in the Chicago area, regularly conducts educational seminars for its superintendents. One scheduled next month for the country's Midwestern superintendents will focus on helping attendees get the most from existing irrigation systems so they can manage water more efficiently. Rationing water to keep turf alive in September was common throughout the Chicago area, said Bryan Stromme, Midwest regional director of agronomy with Billy Casper Golf. "You'd water to keep it alive, not lush green," Stromme said. "It was dormant turf, but it was alive." Many of the courses in the Chicago Park District have older irrigation systems, including single-row designs. That meant dragging hoses throughout the summer, Stromme said. Like their cousins downstate, many courses in Chicago are beginning the season at a disadvantage. Water levels in ponds and wells still are down, and weakened turf throughout much of 2012 means many facilities will have little margin for error this year. Getting off to a strong start will mean tweaking agronomic practices before the season begins, which last year in Chicago came six weeks earlier than the historic average. "We're going to make sure everyone (in the Chicago Park District) has the right fertility, and we'll be using a lot of wetting agents," Stromme said. "I'm fortunate to have a solid team of superintendents who all have worked hard to build solid agronomic programs." Meet New Norm. No, he's not a guy planted at the end of the bar who swigs beer all day. New Norm is the slimmed down version of the Golf Industry Show, and it looks like he's here to stay for a while, so you might want to get acquainted. In fact, New Norm is forcing just about everyone in the golf industry to find new and better ways of doing business, or risk going the way of New Orleans' chances of regaining a slot on the Golf Industry Show rotation. A few years ago, 2009 to be exact, declining GIS attendance was blamed in part on an environment of apathy created by the pros and cons of spending a week in New Orleans vs. a week on the job at the golf course. For many superintendents, staying at work won out. At first glance, that was bad news for a show one year removed from record attendance. In reality, it was no more than a sign of the times that now pervades just about every industry, not just golf. Detractors of GIS New Orleans fell into two camps: the city was too dirty and too dangerous for such a trade show, causing many to take a pass on the Big Easy; and too many of those who did attend couldn't seem to find their way from the French Quarter to the Morial Convention Center. Either way, many show vendors and GCSAA members decided it was time for a change, and New Orleans' slot on the GIS rotation was officially up for grabs. 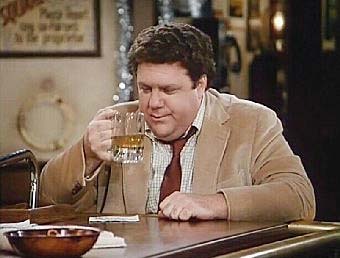 The early prognosis was simply to move the show from New Orleans and hope that New Norm might disappear before anyone had a chance to meet him. No one told New Norm. What so many failed to recognize then was that a dragging economy created largely by the real estate boom and bust - which was closely tied to golf course construction - was creating before our very eyes a long-term demand for a smaller version of the Golf Industry Show. Golf courses began closing, taking jobs with them. Clubs quit paying for travel and more vendors than you might realize began finding it difficult to justify the expense of exhibiting at a national trade show, all conspiring to give New Norm an invitation for an extended stay. Although New Norm might have been born in New Orleans, he has become a seasoned traveler since 2009. According to the GCSAA, attendance at this year's Golf Industry Show in San Diego was 13,192 with 6,018 qualified buyers, and 517 vendors occupying 172,900 square feet in the San Diego Convention Center. That's 1,514 fewer attendees than attended last year's show in Las Vegas. It's also 1,050 fewer qualified buyers and 24 fewer vendors occupying 4,400 less square feet of exhibit space. Did we mention New Norm loves Vegas? Three years ago, the last time the show was in San Diego, attendance was 16,156 with 7,029 qualified buyers - defined as those who possess a checkbook and the authority to use it for on-the-spot purchases on the trade show floor. A total of 665 vendors rented 204,300 square feet of exhibit space at that edition of GIS. That means 3,264 fewer people, and 1011 fewer qualified buyers, attended the 2013 show in San Diego compared with the 2010 version. A total of 148 fewer vendors showed up this year as well. And they rented booth space that was 31,400 square feet smaller than in 2010. New Norm is so SoCal. Although he should have been long gone by now, New Norm likely will be looking forward to a mid-winter trip to Orlando next year and San Antonio in 2015. He's hard to miss, so you'll recognize him when you see him. The reality of the Golf Industry Show is that while the trade show pays the bills, the education is the draw for superintendents. But you can't have one without the other. This complex dilemma is why floor traffic typically is brisk in the morning and lags in the afternoon. It was that way in the days of New Norm's predecessor, Old Norm. You remember him. He was bloated and inefficient and was easy to spot with what seemed at the time to be an endless supply of cash spilling out of the pockets of his ill-fitting trousers. But at least the compressed two-day schedule ensures some decent morning floor traffic before attendees check out to play golf. Anyone who laments afternoon traffic, or lack of it, hasn't been paying attention or is suffering from memory loss. Remember Saturdays during Old Norm's three-day format? No one wants that again, especially New Norm. 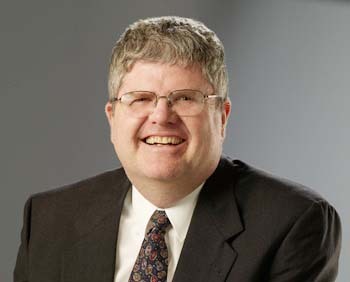 New Norm was a phrase GCSAA chief executive officer Rhett Evans used during a GIS news conference to describe the status of the show, noting that the trimmed down version allows the association to consider venues it never could have with the older, fatter, bloated version of Norm. In fact, there was a time when taking Old Norm anywhere outside Orlando, where record attendance in 2008 topped 25,000, was like trying to stuff a watermelon into a banana peel. No matter how much you tried, he just didn't fit in anywhere else. Although attendance has dropped by nearly 50 percent since the days of Old Norm, the presence of New Norm is a reminder that success in business requires changing with the times, and the times most definitely are changing.That means casting off the mindset of doing things a certain way "because that's the way we've always done it." New Norm means everyone in the business must find new revenue streams and seek out new ways to be competitive. That includes private clubs, daily fee facilities, industry vendors and those of us who report on all of the above. When you meet New Norm, you might want to introduce yourself. After all, he's going to be here for a while. Brown might be the new green, but not all golfers necessarily feel that way. 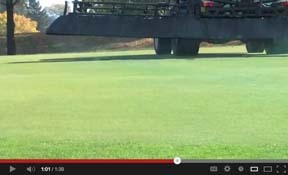 Becker Underwood has produced two informational videos posted to YouTube that can help superintendents impart the benefits of turf colorants to golfing members, committees and supervisors. explains how colorants can help keep cool-season turf green later into the fall as well as provide consistent color during spring green-up. In that video, Becker Underwoods Mark Howieson, Ph.D., also explains how colorants can help superintendents produce green turf all year in the South without overseeding. , Howieson explains to viewers the importance of proper timing when applying colorants. Applying colorants after turf growth has slowed but is still actively growing, the natural hue of the grass promotes a base color that off-color, dormant turf cannot provide. Each of the videos is less than 2 minutes in length, and both can be linked from a superintendent blog or club Web site, and can be viewed during committee meetings. One of the highlights at the Valent Professional Products booth at this year's Golf Industry Show was the announcement that its Clipper aquatic herbicide soon would be introduced to the golf market for use in ponds. Just two weeks after GIS, Clipper now is available to superintendents who need another tool to control aquatic plants in water bodies on golf courses. With the active ingredient flumioxazin, Clipper is a fast-working herbicide that is labeled for control of troublesome aquatic plants such as duckweed and watermeal. Clipper is available in a water-dispersible formulation, does not require perfect application coverage for maximum results. Results normally are observed within three to five days of application. For more information, visit www.valentpro.com. A nearly 6 percent increase in rounds played in 2012 is not quite a sign that golf is out of the economic woods, but given the industry's wave of uncertainty the past five years, the news of increased demand certainly is cause for some tempered optimism. According to Golf Datatech's Monthly Rounds Played Report for December, there was a 5.7 percent increase in year-over-year rounds played in 2012. That statistic is derived from a monthly self-reported survey of 3,285 private clubs and daily fee facilities nationwide. While Golf Datatech and the National Golf Foundation use many of the same statistics in calculating the health of the industry, NGF's industry report is not expected until March. However, Datatech's projections would mean there were almost 490 million rounds played last year, bringing participation back to 2008 levels. While demand finally is perking up, NGF's report will all but confirm that the contraction of supply has run on for a seventh straight year. In their annual State of the Golf Industry report given last month at the PGA Merchandise Show, industry analyst Jim Koppenhaver and Stuart Lindsay estimate that 13.5 new 18-hole equivalents were built in 2012, while 154.5 closed their doors, meaning a projected net loss of 141 18-hole equivalents. If those numbers hold true it would mean a net loss of about 516 18-hole equivalents since 2006,when the trend of negative growth began. That number is one-half to one-third of the number of golf facilities that industry analysts say must go away before supply-demand equilibrium is achieved. Koppenhaver says the game faces three challenges to remain a vibrant industry: how to attract women, minorities, juniors and those aged 25-44; how to retain golfers in the game; and how to convince everyone who is not a retiree to play more than just a couple of rounds per year (2.5 million golfers play just one round per year). Much of the increase in demand could be attributed to the mild winter that dominated much of the country in 2011-12. Koppenhaver tracks what he calls Golf Playable Hours, essentially an inventory of all the daylight hours in which one could play golf factored against climatic influences, such as wind, rain, snow and severe cold, in 45 geographic regions throughout the country. There was a 7.9 percent increase in golf playable hours in 2012 compared with 2011, with 36 of 45 geographic regions showing gains throughout the year. 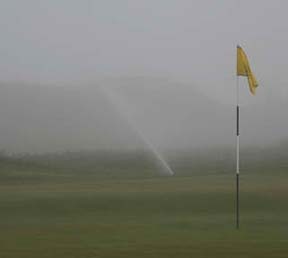 Eight other regions were neutral and only one, Hawaii, showed a reduction in golf playable hours. However, according to Koppenhaver and Lindsay, if every golfer played just one additional round per year it would result in a 5 percent increase in rounds played. One troubling statistic is that although there was an increase in rounds played in 2012, the industry continues to lose golfers. NGF predicts that about 1 percent of golfers left the game in 2012, but Koppenhaver paints a different picture, projecting that the game shed 2 million players last year a loss of 7 percent. And the population of golfers is becoming older. Men over age 50 constitute 60 percent of all rounds played, and those in the 25-44 age group, once one of the industry's strengths, are leaving the game at an alarming rate. According to Lindsay of Edgehill Golf Advisors, 45 percent of all golfers fell into that 25-44 age group in 1992. By 2001, that number had fallen to 41 percent and today it is down to just 31 percent. In 2001, there were 11 million golfers in that age group. Today, that number is trending at 6.4 million. Lindsay noted that many people were introduced to the game as caddies, but that the lack of demand for that service has eliminated exposure to that age group. Equally disturbing is that play among blacks and Hispanics dropped by 67 percent last year. Retailers, however, hardly are noticing golfers leaving the game. In fact, according to Koppenhaver, retail sales of equipment have returned to 2009 levels as consumers continue to take advantage of the technological advances of new balls and sticks. For professional turf managers who want to dial in on water use in tight areas, Toro has introduced its Thinwall Dripline Ideal system. The Thinwall system is designed for use as a subsurface drip irrigation source for those who prefer a flat, molded emitter inside an extruded, thin-walled tube. Initially designed for use in the agricultural market, dripline irrigation has morphed into a popular application for use in bunker faces and other tight areas in golf course turf. Features include: flat, molded emitter that is resistant to plugging even when used with poor-quality irrigation water; requires 120-mesh filtration to minimize clogging; is available in 10-, 13- and 15-mil wall thicknesses, and 5/8- and 7/8-inch internal diameters; is available in five emitter flow rates, including 0.16, 0.25, 0.30, 0.47 and 0.75 GPH, to accommodate various soil conditions and system flow requirements; an extruded tube constructed from ultra-high-strength materials; is compatible with all Toro Pro-Loc tape fittings. 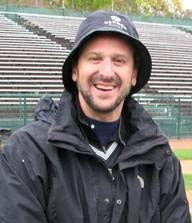 TurfNet contributor Frank Rossi, Ph.D., of Cornell University will be among the featured speakers at the New York State Turfgrass Association Adirondack Regional Conference. Scheduled for March 20 at the High Peaks Resort in Lake Placid, the event will feature a full day of education for turfgrass managers in golf turf, athletic turf and lawn and landscape. Joining Rossi will be Pat Vittum, Ph.D., of the University of Massachusetts, Frank Wong, Ph.D., of Bayer Environmental Science, Jenny Kao-Kniffin, Ph.D., and Brian Eshenaur of Cornell, Adam Moeller and Jim Skorulski of the USGA Green Section, and Cory Metler of Rain Bird. For more information, visit www.nysta.org. USGA regional conference set for Richmond, Va.
With the Golf Industry Show in the rearview mirror, the USGA Green Section is offering a half-day crash course in turfgrass management. Scheduled for March 5 at the Country Club of Virginia in Richmond, the regional conference will include five educational sessions. Scheduled speakers include Cale Bigelow, Ph.D., of Purdue University, Keith Happ and Darrin Bevard of the USGA Green Section, John Van Der Borght of the USGA and William Shonk of Princess Anne Country Club. For more information, visit www.usga.org. Mae Council has joined the Dow AgroSciences turf and ornamental team as a sales representative. She will replace Scott Potter, who is retiring after 40 years. Based in Kansas City, Mo., Council will be responsible for sales efforts in Colorado, Kansas, Missouri, Nebraska, North Dakota, South Dakota and Wyoming. Council has been working with Dow AgroSciences since June 2012 as a T&O sales trainee in Indianapolis. For more information, visit www.dowagro.com. It did not take very long for Dan Meersman to make an imprint at The Philadelphia Cricket Club. In less than four years at the Cricket, Meersman has, in the words of general manager Tim Muessle "single-handedly turned around a dying golf course." He also has taken training, education, professional development fiscal awareness to previously unseen heights. Not that any of that should be a surprise for someone who manages a 65-man crew, 45 holes of golf, 33 tennis courts (22 grass, nine clay, two indoor), two paddle tennis courts and a soccer field all spanning two campuses. For the manner in which he has gone above and beyond to serve golfing clientele, colleagues and employees, Dan Meersman has been named the winner of the 2012 TurfNet Superintendent of the Year Award, presented by Syngenta. The center of Meersman's management style is customer service, according to a former employee. "For him, it was all about producing the wow factor for members," said Henry "Skip" Heinz, who was the equipment manager at the Cricket from 2009-12. "On cold days, we used to make coffee in the shop and run it out to members who were playing golf. "He's the most detail-oriented person I know. If you worked for Dan and you were out and saw a piece of trash on the course, you picked it up. I've taken that philosophy with me to other places I've worked." The 13th annual award is presented to a superintendent who excels at one or more of the following: labor-management, maximizing budget limitations, educating and advancing the careers of colleagues and assistants, negotiating with government agencies, preparing for tournaments under unusual circumstances, service to golf clientele, upgrading or renovating the course, dealing with extreme or emergency conditions. Meersman was selected by a panel of judges from a list of 10 finalists that also included Chad Decker of Hollytree Country Club, Tyler, Texas; Greg Gavelek of Longbow Golf Club, Mesa, Ariz.,; Rocco Greco, En-Joie Golf Course, Endicott, N.Y.; Matt Kregel, The Club at Strawberry Creek, Kenosha, Wis.; Chad Montgomery, Naples Heritage Golf and Country Club, Naples, Fla.; Andy Morris, Country Club of Peoria, Peoria Heights, Ill.; Rich Taylor, Sahalee Country Club, Sammamish, Wash.; Dan Tolson, 3 Creek Ranch, Jackson, Wyo. ; and Curtis Tyrrell of Medinah (Ill.) Country Club. Comprising the judging panel are Shawn Potter and Stephanie Schwenke of Syngenta; Peter McCormick, Jon Kiger and John Reitman of TurfNet; last year's winner Paul Carter, CGCS, of The Bear Trace at Harrison Bay in Harrison, Tenn.; Cal Roth of the PGA Tour; Chris Hartwiger of the USGA Green Section; Tom Stine of Golf Datatech; Jon Scott of Nicklaus Design; Mike McCullough of the Monterey (Calif.) Regional Water Pollution Control Agency; Frank Rossi, Ph.D., of Cornell University; Tim Moraghan of Aspire Golf; Dave Wilber of Sierra Pacific Turf Supply; Larry Hirsh of Golf Property Analysts; and Bradley Klein, Ph.D., of Golfweek. Previous winners of the award include Paul Carter, The Bear Trace at Harrison Bay (Tenn.), 2011; Thomas Bastis, California Golf Club of San Francisco (Calif.), 2010; Anthony Williams, Stone Mountain Golf Club (Ga.), 2009, Sam MacKenzie, Olympia Fields Country Club (Ill.), 2008; John Zimmers, Oakmont Country Club (Pa.), 2007; Scott Ramsay, Golf Course at Yale (Conn.), 2006; Mark Burchfield, Victoria Club (Calif.), 2005; Stuart Leventhal, Interlachen Country Club (Fla.), 2004; Paul Voykin, Briawood Country Club (Ill.), 2003; Jeff Burgess, Seven Lakes Country Club (Ontario), 2002; Kip Tyler, Salem Country Club (Mass), 2001; Kent McCutcheon, Las Vegas Paiute Resort (Nev.), 2000. Meersman comes from a long line of superintendents that include brother, Jason, of The Patterson Club in Fairfield, Conn., and father, Mike, of Cerbat Cliffs Golf Course in Kingman, Ariz, both of whom were on hand when he won the award. He also has a grandfather and uncle who were superintendents. With that sort of pedigree, Meersman also has become an accomplished inventor. Shortly after he was hired in 2009, Meersman went to work on the bunkers of PCC's Militia Hill course, which suffered from subpar construction methods when the course was built in 2001-02, Muessle said. 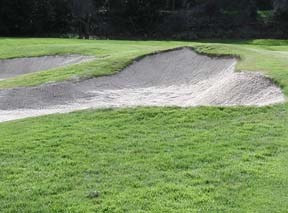 Meersman rebuilt the bunkers and installed liners that he developed and patented. Those permeable, porous asphalt liners have worked so well they were installed on the St. Martins course at PCC and will be used later this year when the club's original Tillinghast design goes under the knife immediately after the U.S. Open at crosstown Merion Golf Club. "He's a pretty unique guy. He's developed all his own processes and methods," said Muessle. "As a general manager, it's tough keeping up with him. By the time I know what he's doing, he's on to the next thing." "As a general manager, it's tough keeping up with him. By the time I know what he's doing, he's on to the next thing." Heinz, the 2004 TurfNet Technician of the Year Award winner while at Kalamazoo Country Club in Michigan, has had the fortune of working for many accomplished superintendents, including John Fulling at Kalamazoo, Lou Conzelman at Tiburon Golf Club in Florida and currently under Eric Greytok at Belfair Plantation in Bluffton, S.C. He remembers Meersman as a driven manager who never took "no" for an answer, but who also had an unbending dedication to his employees. "If you give your all to him, then he'll give his all to you," Heinz said. "But he could tell pretty early if you didn't have what it took to succeed. And if you didn't have it, then you usually didn't last long. Working for him was tough. It was like the difference between entering the Navy, or entering the Marines. I mean, that's how tough he is." Incoming GCSAA president Pat Finlen, CGCS at The Olympic Club in San Francisco, has headed the maintenance operation at the 45-hole Bay Area club since 2002. Last year, he worked with the USGA on the setup and conditioning of the club's Lakeside Course for the U.S. Open while managing a total reconstruction of the club's Ocean Course with architect Bill Love. Recently, he answered a few pointed questions from Golfweek's Bradley Klein, Ph.D. Question: Why take on the presidency of the GCSAA after a year like that? Answer: Actually, the timing is perfect for me, for the club and for the GCSAA. This will be my eighth year on the board, and that service has helped me become a better superintendent, a better manager and a better person. So I don't see it as time away; I see it as time invested. Q: What changes are your fellow superintendents making as you adjust to a tougher business climate? A: Many of the budget cuts actually started right after 9/11, so superintendents were better prepared for what hit the country in 2008. We're all getting better at managing labor, budgeting time, engaging in customer service. We're providing equal if not better course conditions for less money. Superintendents were accustomed to being left alone, so to speak, out on the golf course with our head down looking at turf. Now we're part of a team, part of a facility's financial success. Many are doing more with fewer inputs of water, pesticides and fertilizer through better management. Q: How much of that has been driven by ecology? A: Business and ecology go hand in hand. What better time to make environmental changes? To be sure, they are more widely accepted around the country now than a decade ago. The West Coast and the East Coast may have been at the forefront, but I tell my friends and colleagues in Kansas City, where I'm from, "It's coming your way." And GCSAA, which is based in Lawrence, Kansas, has been at the forefront in helping provide superintendents with the tools to be better managers and stewards of their courses. Q: What are superintendents today doing differently to explain this to golfers? A: There's a night-and-day difference from when I started in 1983. We used to rely upon the folks in the golf shop as our mouthpiece while we were out on the course. Now we spend more time communicating directly. The more we educate the golf shop, the more we educate golfers, the more we speak directly in the community, the better our message will get out there. Email is one thing; standing face-to-face with golfers on the first tee makes it more readily acceptable. And there's a lot more collaboration across the entire industry, such as with National Golf Day April 17 this year when we go out with the PGA of America and other stakeholders, including course owners and general managers, and make our case for a $70 billion golf industry that employs 2 million people here in the U.S. Recognition of superintendents has never been higher. On the recent CBS telecast of the Farmers Insurance Open, commentator Jim Nantz told a national audience that the GCSAA Golf Championship would be held at Torrey Pines the following week using the same fourth-round hole locations used this year. That's pretty cool. Get used to it; evolving legislation regarding water use is the new reality for superintendents in many parts of the country, and on the horizon for everyone else. A revised version of water withdrawal regulations goes into effect in New York on April 1, according to the state's Department of Environmental Conservation. The purpose of these regulations is to implement a permitting, registration and reporting program for water withdrawals equaling or exceeding a threshold volume of 100,000 gallons per day. They also implement New York's commitments under the Great Lakes-St. Lawrence River Basin Water Resources Compact. For existing water withdrawal systems that are not exempt and that were above the threshold as of February 15, 2012, an initial permit process is provided which is less costly and time consuming than the standard permit process and provides additional time to comply depending on the capacity of the water withdrawal system. To take advantage of the initial permit process, existing withdrawals must have been reported by February 15, 2012. > Annual reports for 2012 should be submitted by March 31, 2013. In subsequent years the reporting date will be March 31. > Threshold before regulations kick in remains at the ability to withdraw 100,000 gallons per day. > A $50 reporting fee is in effect until December 31, 2013; after that no fee is required. > Most permits will have a 10-year term, however shorter time frames can be used at DEC's discretion. In addition, DEC's review of annual reports may identify scenarios that may trigger the need for a permit modification or indicate possible permit violations. One scenario is systems that are approaching their permitted withdrawal limits. > As for water conservation measures, future annual reports will include an update on the progress and effectiveness of your water conservation measures. A manual and form for water conservation measures will be available on the DEC Web site. > Long Island wells are exempt from reporting requirements as well as additional permitting; they have pre-existing regulations. > Exempt from permitting are withdrawals that have received approval from the Delaware River Basin Commission or Susquehanna River Basin Commission but usage reporting is required. > Those facilities who did not report by February 15, 2012 need to get permitted by June 1, 2013 no matter what their numbers are. In these cases a complete permit application will be required which I tend to believe will be more involved than in applying for the "initial" permit. As soon as possible, facilities with this issue should contact Richard Kruzansky (518-402-8182) at the DEC Division of Water for help bringing a facility into compliance. > All pumping facilities will need totalizing flow meters which will need to be calibrated within the year prior to a permit application and calibrated at least once every 5 year thereafter. > Any well installed after April 1, 2013 will need equipment to measure and record water levels; calibration of this equipment every 5 years. > Ponds installed after April 1, 2013 need equipment to measure water levels and storage volumes. > There are record keeping and inspection requirements. Environmental agencies in Michigan, Wisconsin and Virginia have granted phosphorus exemptions to Crystal Green, a slow-release, renewable phosphorus fertilizer by Ostara Nutrient Recovery Technologies. The exemptions allow golf course superintendents and sports turf managers to apply Crystal Green to turf where conventional phosphorus-containing products are otherwise restricted or banned. The company says that the phosphorus exemptions were granted because the components in Crystal Green are recovered from nutrient-rich water streams. The recovered phosphorus and nitrogen, together with magnesium are transformed into a fertilizer that is significantly higher in purity than its conventional counterparts. Didn't make it to the Golf Industry Show this year? No problem. Although the New York State Turfgrass Association can't bring San Diego weather to upstate New York, it is bringing the same style of education that was on display in Southern California for GIS. The one-day program is scheduled for Feb. 25 at the Millennium Hotel in Buffalo. Featured speakers include Rich Buckley, Ph.D., of Rutgers University, Adam Moeller of the USGA Green Section, Dale Getz of The Toro Co., and Dan Peck, Ph.D., of Grass Systems Entomology. Sessions are approved by the GCSAA and STMA. Bayer Environmental Science named Gilles Galliou president of its North American Division. Galliou has more than 20 years of experience in global and U.S. agribusiness. 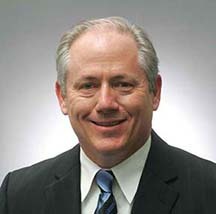 He has worked with Bayer since 1990, most recently as Bayer's vice president of commercial operations. Galliou replaces Jacqueline Applegate, Ph.D., who took over the role of CEO of Bayer CropScience Australia/New Zealand. Preparing for an event the magnitude of the Ryder Cup Matches is a tall order in and of itself. Doing so in the midst of two of the hottest summers in Chicago-area history compounds the challenges associated with such a task even more. The superintendent at Longbow Golf Club since 1998, Gavelek drew praise from owners who bought the property in 2001 from Boeing after the aircraft manufacturer inherited the course after buying its original owner McDonnell-Douglas. Gavelek was on board for a unique renovation project that required moving all or part of 13 holes so the property could be redeveloped. The end result has been the ongoing transformation of what the new ownership group described as a so-so golf course into one of the finest conditioned layouts in the Phoenix area. With up to 40,000 rounds annually, there is little time for upgrade projects, most of which are completed in-house. For example, a recent bunker upgrade meant that at one point all 57 bunkers were completely empty while Gavelek and his crew worked on all of them simultaneously. While Gavelek has produced conditions that rival those found on private and resort courses in the Phoenix area, he done with a daily fee budget that leaves little room for anything extra. "In a time when managing your budget is vital to the success of our golf course Greg has trimmed 20 percent off his labor budget and managed to cut 18 percent from his course expenses over the last five years," wrote Longbow GM Jay Larscheid. "Even with this we are still able to provide one of the best playing surfaces and overall experiences in the valley. Greg's crew is limited but they are well trained and act under Greg's leadership and direction. Greg is a tremendous role model for future superintendents on his team." 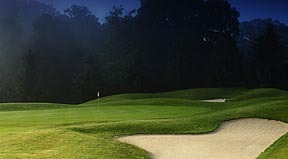 Rocco Greco - En-Joie Golf Course, Endicott, N.Y.
For years, superintendents have resented that their courses are compared to conditions produced annually at Augusta National. After last year's Ryder Cup Matches they'll have Curtis Tyrrell to blame if they ever hear the words "Medinah Syndrome." Tyrrell, director of golf course operations at 54-hole Medinah Country Club near Chicago, is setting a new standard for daily conditioning. What makes his accomplishments all the more impressive is that he's doing it on a 600-acre museum where the hallowed No. 3 Course sees the equivalent of a shotgun start every day. Throw in the fact the Chicago area is coming off two years of some of the harshest summer conditions in recent past and what Tyrrell and his staff have done is nothing short of remarkable. "It's a big job not only because of the history and prestige that a name like Medina carries, but in terms of property size, staff size and membership size - it's a very big job," wrote Course No. 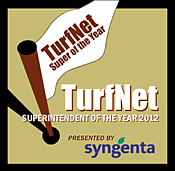 1 superintendent Jim Wallace in nominating Tyrrell for TurfNet's Superintendent of the Year Award. Tyrrell spent nearly every waking moment since he was hired at in 2008 getting No. 3 ready for the 2012 Ryder Cup. While Tyrrell and his staff were doing so, 90-plus-degree temperatures were recorded at Medinah on 45 days throughout the summer. That's about three times the historic average for the Chicago area. In the midst of these challenging conditions, Tyrrell and Co. were able to produce immaculate conditions on the heavily played Tom Bendelow classic. "Curtis had Medinah shining on the world stage for the 2012 Ryder Cup," No. 3 superintendent Ross Laubscher wrote. "This after enduring two years of extreme weather conditions in the Chicago area. While preparing for the Ryder Cup, Curtis was also preparing for a full renovation of Medinah's No. 1 Course and also planning long-term solutions to update the infrastructure of Medinah's No. 2 Course." The Monday after completion of the Ryder Cup, Tyrrell was the first person on the property, as a complete restoration of No. 1 was set to begin that day. "It's a big job not only because of the history and prestige that a name like Medinah carries, but in terms of property size, staff size and membership size - it's a very big job," wrote Course No. 1 superintendent Jim Wallace. "What I can also say as someone who has worked alongside Curtis for the past five years, is that without his leadership in the face of some really tough challenges, I seriously doubt that things would have turned out as well as they did. You can have the best team in the world but without the right leadership things can go awry very quickly." PBI-Gordon Corp. recently introduced an enhanced version of its online weed information resource, WeedAlert.com, for professional turf managers who need an additional tool for identifying and ultimately controlling weeds. The site now features new detailed color photographs of 109 weeds and allows turf professionals to search and identify weeds by name, appearance or region. 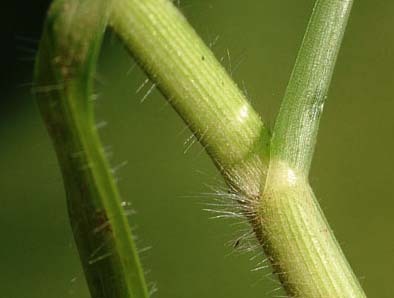 Detailed information about each weed includes description, non-chemical cultural control practices, maps detailing a geographic range for each weed, information about optimal growing seasons (for the weeds), and control recommendations. WeedAlert.com, which was introduced in 1998, now also features the Tech Advisor resource that allows site users to contact and interact with technical advisor experts who can help with specific turf weed control problems or questions concerning general turf weed control. Dana Lonn of The Toro Co. was named the winner of the 2012 International Golf Course Equipment Managers Association Edwin Budding Award. The sixth annual award, which is presented by Ransomes-Jacobsen, is named for Edwin Budding, who is credited with inventing the reel mower in 1832. It is given annually to someone who has made a significant contribution to the golf course equipment industry and who is dedicated to improving the industry and their facilities. Lonn is managing director for Toro's Center for Advanced Turf Technology. The center was created in 1998 to develop innovative solutions to customer problems and environmentally friendly technologies for customers in the professional turf markets that include golf, sports turf, and grounds and landscape maintenance. Its mission is towork with customers, academic researchers and other industry experts to develop solutions that could emerge as breakthrough products and has been an industry leader in water management, alternative fuels and labor productivity. Lonn has been an active participant in developing an array of commercial, residential and irrigation products and personally holds 10 patents as an inventor. 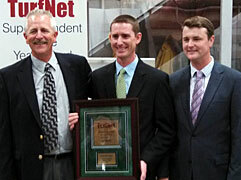 He will receive the award Feb. 6 at the Golf Industry Show in San Diego.